iMyfone Umate — World's No. 1 iPhone Cleaner to Free up Space for your iOS Device! Is storage space on your iOS device almost full? Does this make your device run too slow? Does your iPhone gets stuck easily? Is there not enough space for yet another iOS update? Manually freeing up space is outdated. 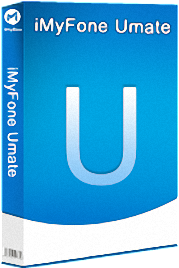 Now you can use a simple but effective cleaner called iMyfone Umate. With over 25 analysis technologies applied, it is easy to know where and how all the space on your device is being used. 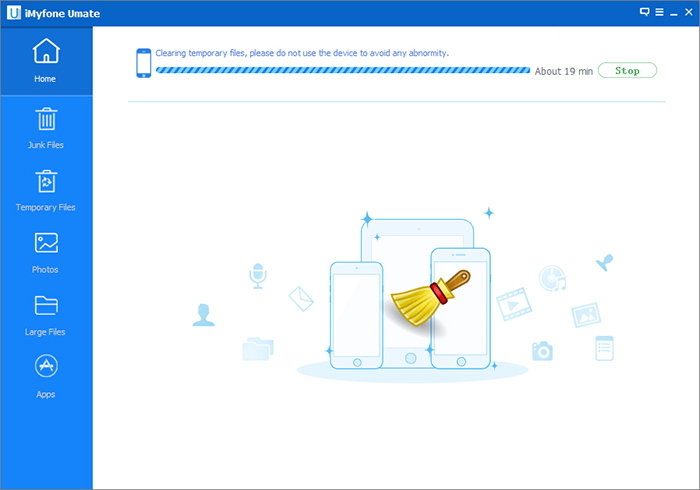 With just one click you will be able to securely clean out junk files, clear temporary files, compress & delete photos, delete other large files (like videos over 5MB) and managing apps for your iPhone/iPad/iPod Touch! Quickly scan and list apps to reveal the storage they occupy. Selectively uninstall the apps by one click to release space. 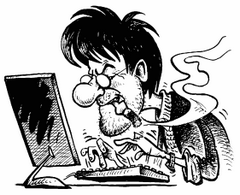 Removable files can be selectively deleted by manual. iDevices easily go crashed for unknown reasons. Junk files take up tons of space and slow down your iPhone, iPad, iPod Touch. Not enough space for iOS update, new apps or photos etc. Can't remove the unnecessary data completely. Improve the function of «Temporary files». Optimize the function of «Large Files». Size: 24,98 / 26,17 MB.